The death toll in Syria has reached a threshold where outside parties are entitled to use force to protect the civilian population. But those who would intervene in ostensible pursuit of this noble objective have an obligation to ensure that, on balance, the patient benefits from the procedure. Whereas former president Bill Clinton can claim with some justification that "the burning of villages and killing of innocents was history" after NATO's 1999 intervention in Kosovo, achieving a positive balance sheet in Syria will be extraordinarily difficult. The Syrian conflict differs from other notable targets of humanitarian intervention in three critical respects. For starters, the constituency that has borne the brunt of appalling human-rights abuses is not an imperiled ethno-sectarian minority (such as Iraqi Kurds or Kosovo Albanians) or the population at large (as with Somalis in 1992). Instead, it is Syria's Sunni Arab majority that is suffering at the hands of an oppressive minoritarian regime. Also in sharp contrast to major intervention precedents, this group is already on track to win the war. With a fivefold demographic advantage over President Bashar al-Assad's quasi-Shiite Alawite sect and growing material support from surrounding states, the overwhelmingly Sunni rebels are sure to eventually overpower regime forces. That's why they have zero interest in negotiating with the Syrian president. Finally, the situation in Syria is unique in that the main victims have a long history of subjugating their victimizers. Syrian Alawites were deeply impoverished, socially marginalized and politically powerless for centuries prior to the rise of the Baath Party in the 1960s. Given the scale of regime atrocities in the interim and the increasingly Sunni Islamist character of the revolt, Alawites and other minorities that benefited disproportionately from Assad's rule (or at least suffered less than their fair share) have well-grounded fears of violent retribution when the walls come crumbling down. The fall of Saddam Hussein's Sunni-dominated minoritarian regime led to several hundred extrajudicial executions of former officials within a year and a mass exodus of Christians, despite the presence of U.S.-led coalition forces. A humanitarian intervention must be expected to have a positive net impact on civilian life over the entire arc of the war, which won't end with Assad's downfall. Former regime forces are likely to regroup in areas of northwestern Syria where minorities predominate, and Iran can resupply them by sea. The reduction of these enclaves, as well as free Kurdish areas that have sprung up amid the fighting, could claim more lives than the fight to bring down the regime, and the civilians most in need of protecting will not be Sunni Arabs. The dilemma, then, is how to prevent atrocities in Syria today without aiding in the commission of others tomorrow. Most intervention plans under discussion amount to direct or indirect military support for insurgents likely to perpetrate atrocities once the tables have turned. It's impossible to create and defend aid corridors or "safe zones" for refugees without providing rebels with rear bases to resupply and refit, particularly if the international community relies on neighboring Turkey to do the heavy lifting. A no-fly zone designed to deprive all sides of offensive air power avoids the pitfalls of aiding and abetting combatants, but enforcing one without a UN Security Council mandate will still lead a sizable minority of the population to see the United States as a participant in the war. This could prolong Syria's ordeal by bolstering Assad's anti-imperialist credentials and making it easier for Iranian-backed malcontents to mobilize opposition to the successor regime. Taking part in a sectarian turf war decades in the making could also compromise U.S. credibility in contending with other multiconfessional hot spots, such as Lebanon and Iraq. Few advocates of intervention appear to be thinking this far ahead. There are no easy solutions to the humanitarian crisis in Syria, least of all the Obama administration's futile pursuit of a multilateral diplomatic initiative to end the war. The best-case scenario of such a settlement (assuming a highly unlikely change of heart by Russia and the acquiescence of Iran) would mean a Lebanon-style interim power-sharing formula, which might cut down on the violence but only at the cost of stunting Syria's political recovery. This is precisely why the rebels will never agree to it. Absent a workable plan for saving lives or acompelling strategic rationale for intervention, the United States should stay out of the conflict—while using all means short of force to dissuade the participants and their regional backers from committing egregious human-rights abuses. Once the smoke clears, Syria will need a benefactor with clean hands to help it pick up the pieces. 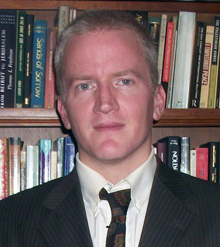 Gary C. Gambill is an associate fellow at the Philadelphia-based Middle East Forum.